Lesbian Couples (#19) – What “This Is Us” teaches us about love. Lesbian Couples (#19) – What can we learn about happy relationships from “This is us”? 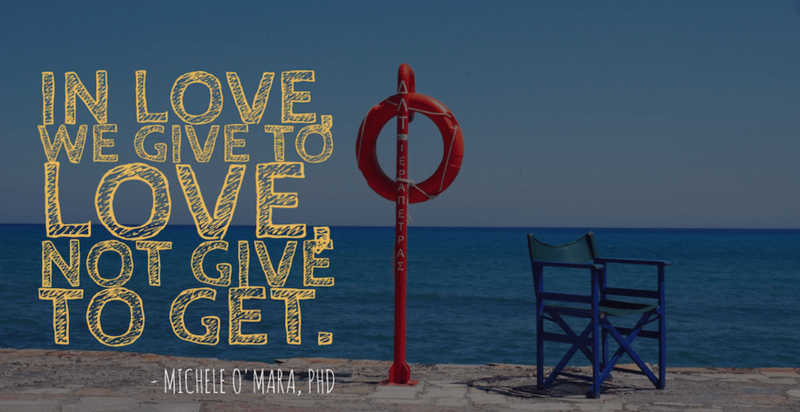 Strategy 19: Give to Give. Not Give to Get. Have you been watching “This is Us?” It’s a new (2016) NBC series and I love it. The entire show is based around a young couple who got pregnant with triplets, lost one during delivery and adopted a child who was serindipitously brought to the hospital that day after being abandoned at a local fire station. The series is based on the lives of this couple and their children and it flashes back and forth between their early marriage / childhood, and their elderly years (parents) and adulthood (the triplets). I have cried at least a little during each episode. Almost always, they are joyful, albeit sentimental, tears. I almost always find myself missing my dad a lot (you can read about him here), and fondly recalling my own childhood. I thought it was just me, but as it turns out, most other people who watch the show get tearful, too. One of the things I love most about the show is how well the characters love one another. I absolutely delight in the love that Jack (Milo Ventimiglia) has for Rebecca (Mandy Moore). He is playful, flirtatious, open, vulnerable, consistent, adoring, and consistently doing whatever it takes to be the best father and husband he can. It is clear his mission is to be the opposite of his own father; and so far, he is succeeding. Strategy #19 for happy couples reminds me of Jack from This is Us. The best love there is comes with no expectations. When you load up your gifts with hidden expectations, both you and your partner are in for a disappointing outcome. For example, do not surprise your partner with a romantic candlelight dinner because you want to get her in the mood to make love. Do it because you want to nurture your partner and treat her to a delicious, romantic meal—no strings attached. If by chance your evening moves you to a more physically intimate place, enjoy it – don’t expect it. When you give, give to give: don’t give to get. Mean what you give, and give what you mean. If you give dinner, you must mean dinner. If what you really mean is an invitation to be sexual, extend an invitation to be sexual, and don’t disguise it as a dinner. And when you give, don’t keep score. Give because you want to give, not because you want to add points to your side of the scoreboard. Giving to give is still giving to yourself. We ARE fifty-percent of our relationship. You cannot add to your relationship without also adding to yourself. What a great investment; one that always gives back. When you nurture your relationship, you nurture yourself. This shift from giving to your partner, to giving to your relationship, makes giving easier. Your relationship is an investment container. Yes, a container. The relationship literally HOLDS that which the two of you have to offer. It is from this shared container (the relationship) that you draw from, whether it is resources you contributed or your partner contributed doesn’t matter – what matters is that the relationship container is full. If you find yourself always giving, ask yourself if you are giving to your relationship—that which also enriches yourself—or if you are giving to your partner in hopes of getting something in return? If you are focused on your partner and adding to her life, you might be adding to her while taking away from yours. Ultimately, when we cease to take care of ourselves, we end up being a drain on our relationship, not an asset. When you take care of your relationship, you both win. You cannot take care of each other if you are not first taking care of yourself. Just as players on a team can’t work out for each other; each has to strengthen their skills themselves. What you can do, and must do, is take care of the relationship. The relationship is your shared resource. The investment offers you dividends and keeps on giving back to you if you keep giving to your relationship. Give to give and you will always receive in the end. “You’re adopted, and we don’t talk about that enough. Because to me, you are every part my son. And maybe I don’t want you to feel like you stand out. But I need you to know something. I want you to stand out. I want all of you to be as different as you can possibly be, in all the best ways. I love you as much as a human heart can, kiddo. You are an exceptional young man. So don’t let your old man’s poor choices make you feel afraid to be different, OK? OK.
I’m a transgender female, I would like to contract your services, I plan to apply for the Jim Collins Foundation for GSR.